For its massively cooperate local multiplayer experience Hands that Feed won the 'Best Overall Game' at the U of S's STEMFEST gamejam. Each player plays as 1-3 individually controlled tentacles, with a total of 17 tentacles! 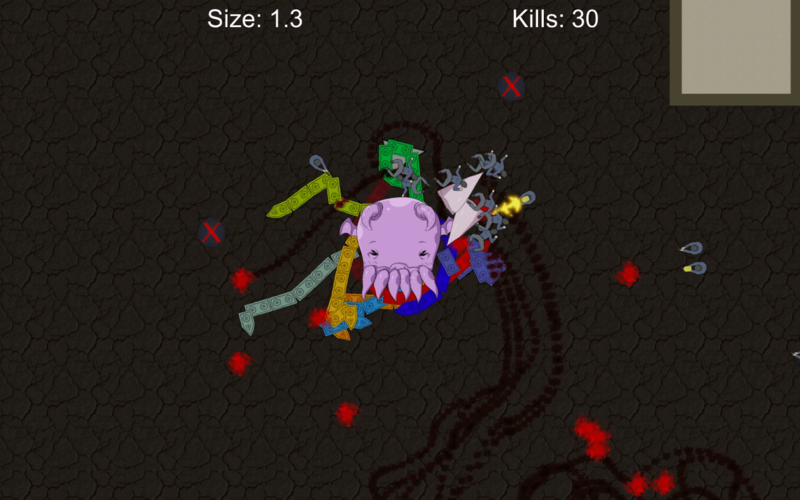 Use tentacles to grab unfortunate life forms and bring them to Cutethulhu to feed! Consume enemies to grow larger. 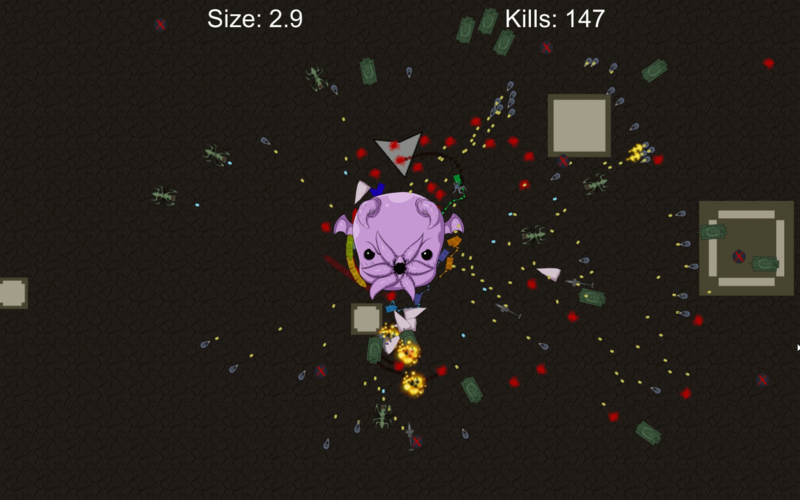 Protect your body from bullets with tentacles! Foolish Mortals is a small independent game studio based in a far away land called Saskatoon, Saskatchewan, Canada. © 2017 Foolish Mortals Games Inc.